Golden Sheen Obsidian is generally a black or deep brown color that displays a golden chatoyance (cat's eye effect) when viewed in strong light. This chatoyance is created from gas bubbles aligning across the layers of the gem during it's formation. Thease are a 3/4 to 1 inch size. 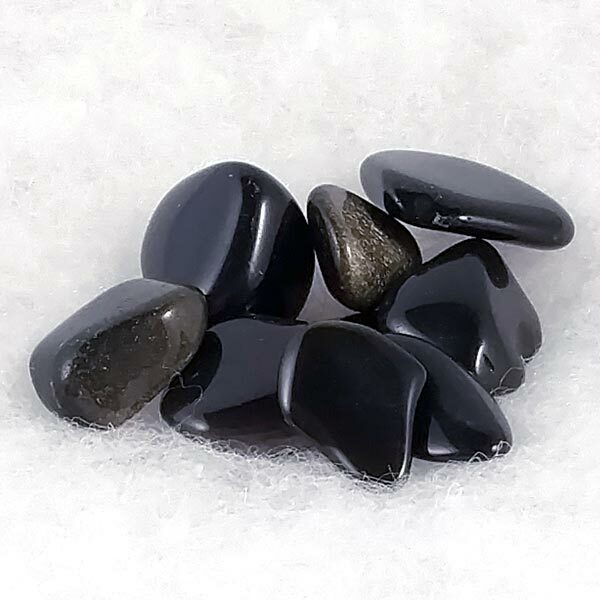 Like most of the darker colored obsidians, this one resonates with the 1st Chakra and is a protective and shielding stone.